Will Forte and ‘The Lego Movie’ Creators Bring Comedy to Fox Lineup!!! Fox is adding to its stable of fantastic television shows with ‘Last Man on Earth‘. 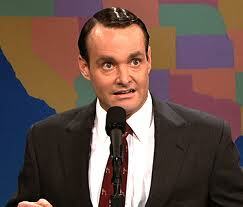 Funnyman Will Forte (‘Nebraska‘, ‘Magruber‘, ‘Squirrels To The Nuts‘) created and will star in the show. 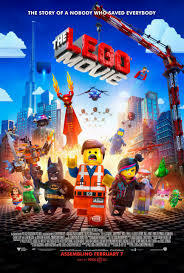 Executive producing and directing the pilot are the duo of Phil Lord and Chris Miller from ‘The Lego Movie‘, ‘Cloudy With A Chance of Meatballs‘ and ‘Clone High‘. This project is expected to produce 6-10 episodes and is part of Fox chairman Kevin Reilly’s plan to bypass pilot season altogether and go straight to series and cast projects outside of the traditional January-April pilot cycle. Fox originally bought the project in October in a bidding war with a pilot production commitment. Forte was not attached to star at that time, only to write and executive produce. The lead could be held by none other than Forte and is now committed to performing. ‘Last Man on Earth’ joins two other comedy series ordered for next season, ‘Mulaney‘ and ‘Weird Loners‘ along with two dramas, ‘Hieroglyph‘ and ‘Backstrom‘. I would describe ‘Last Man on Earth‘ to you, but if it’s not obvious by the title, you need to flip over to PBS and let ‘Sesame Street‘ explain logic to you. Forte returns to writing which is where his roots are. He began writing for ‘Late Show’, ‘3rd Rock From The Sun‘ and ‘That ’70’s Show’ before ‘Saturday Night Live’ picked up the comedic genius. Besides writing for SNL, he was a cast member for 10 years. Forte just worked with Miller and Lord as the voice of Abraham Lincoln in the box office hit ‘Lego Movie‘ and he voiced a character on the pair’s 2002 animated series ‘Clone High’. He recently starred with the booze-addled character played by Bruce Dern in the cinematic success ‘Nebraska‘, which you can watch our interview with Forte HERE. This entry was posted on Thursday, February 13th, 2014 at 1:04 pm	and is filed under News, Television. You can follow any responses to this entry through the RSS 2.0 feed. You can skip to the end and leave a response. Pinging is currently not allowed. « ‘Gone Girl’ Writer to Pen ‘Utopia’ for HBO!! Why does that never happen with me?